Foster volunteers are vital to the success of our rescue. By fostering a rescue dog, you are saving a life. Currently, there are far more unwanted dogs in the shelters than there is space to put them. Some rescue dogs just need a short-term place to stay, such as overnight; for others, long-term care is needed until the rescue dog is placed in a new loving home. The more foster homes we have, the more dogs we can save. If you would like to become a foster home, please submit a Foster Application. Can you help us move rescue dogs around? Most often, we need help with local transportation--moving rescue dogs to and from their vet appointments, pulling dogs from shelters and taking rescue dogs to meet potential adopters. We also need help with moving donations, such as bagged dog food and other supplies, from storage to foster homes. For volunteers who are willing to drive longer distances, sometimes our dogs move throughout the Pacific Northwest region, as north as Vancouver, BC, and as east as Montana. We also work with transport volunteers who make routine trips up and down the I-5 corridor between southern California and Seattle. If you enjoy driving, have a large vehicle and would like to be a transport volunteer, we would love to hear from you! [email protected] We also make transport announcements on our Facebook page. We are looking for talented volunteers who can write content for the web. Are you warm and personable with a knack for storytelling? Our writing volunteer interviews past adopters, our foster homes and others to update the status of our rescue dogs. Do you have a background in science or veterinary medicine? 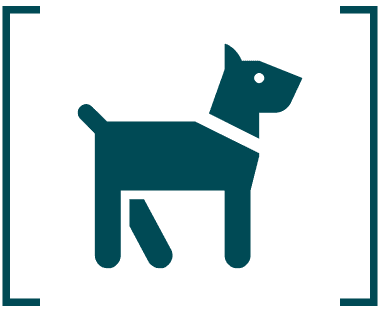 We are looking for technical writers who can help educate our community about topics like hip and elbow dysplasia, parvo virus and canine dilated cardiomyopathy. Sometimes we pull shelter dogs that are sponsored by the community through small donations called "pledges." We need a persistent, organized, volunteer who can follow up with online donors to collect pledges.